The development of women entrepreneurship in Azerbaijan, strategy and perspectives of this sphere in Azerbaijan was discussed in a general conference on 13 October. 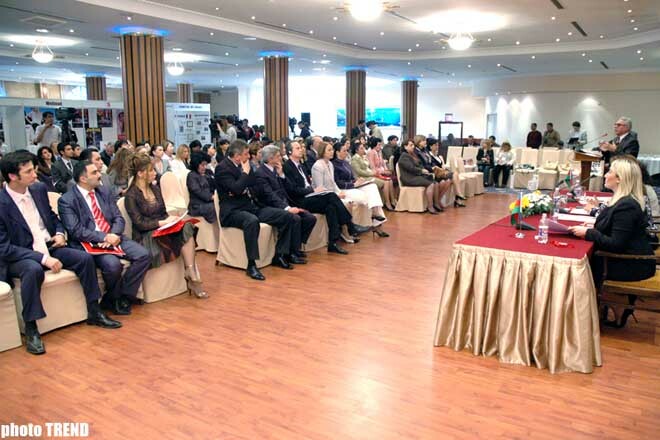 The forum was organized by the State Committee on Family, Women and Children problems in Azerbaijan, the Ministry of Economic Development and the Association of Women-Entrepreneurs, Trend reports. 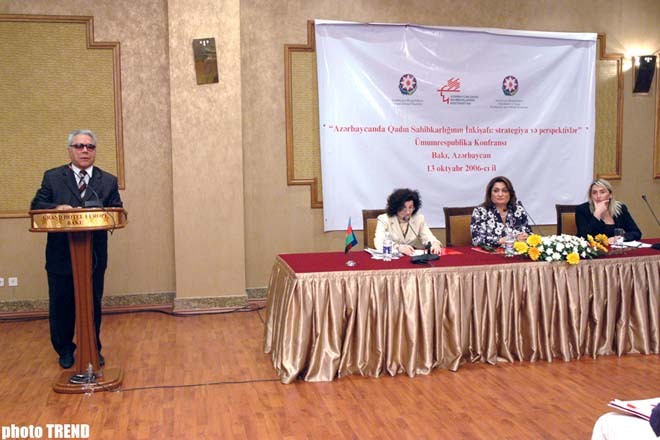 The chairman of the State Committee, Hijran Huseynova, drew attention of the participants to the terms established for the development of business in Azerbaijan, role of women-entrepreneurs n the development of national economy, as well as problems that he faced in this way. in women problems, was established in 2005, Huseynova underlined. Heydar Babayev, the Azerbaijani Minister for Economic Development, said that the Ministry keeps under control the development of the woman entrepreneurships in Azerbaijan. He praised their role in the economic development of the Country. The Minister assured that the government is keen to continue assistant the women-businessmen in the approval of micro-credits for them. Attending the conference were representatives from international organizations, MPs, and government officials, as well as Ambassadors from foreign countries. The women-businessmen discussed further cooperation.